Tamarind or dry mango chutney is a sweet, sour tangy and hot chutney. This chutney is an essential component in chats like Pani Puri, Dahi Bhalla, Bhelpuri, Papri Chat, Raj kachori, Aloo Tiki and it is more quite famous in northern as saunth chutney. Tamarind chutney, a simple yet delicious condiment, is must have dip for all Indian snacks as onion pakora and bhajia. It has a long shelf life and can be preserved for six months. First, soak the tamarind and dates in warm water for about half an hour. Take a big pan or kadhai, add tamarind, dates, jaggery and sugar and sea salt and pour two cups of water mix it and boil the mixture for at least 8-10 minutes. 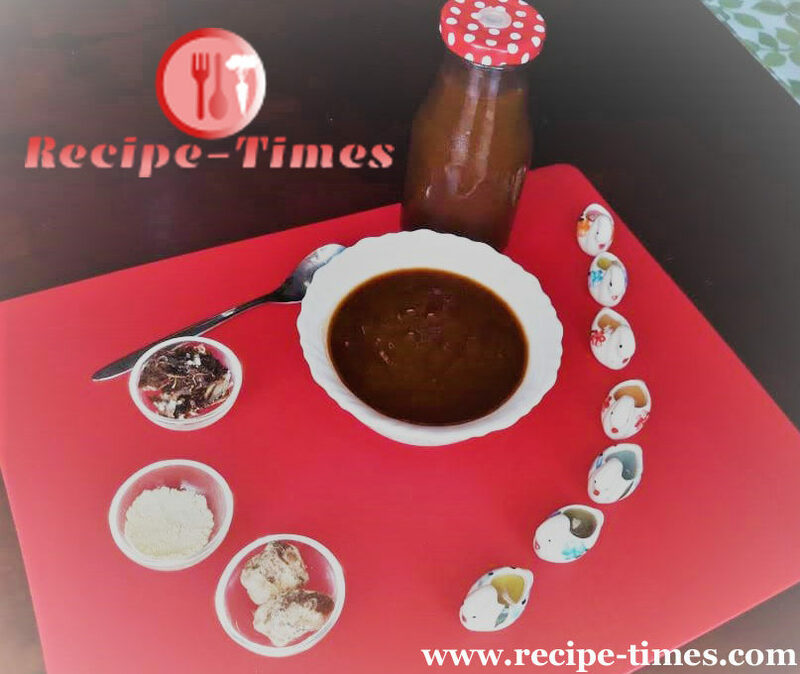 Allow the mixture of tamarind and dates to coo, after that transfer in a blender and blend till it is into a smooth puree, strain the puree with a small hole strainer. Heat a pan, or kadhai then add smooth puree of tamarind, roasted jeera black cardamom seeds, ginger powder, Kashmiri Lal mirch, black salt and a half cup of water mix it well with the help of a spatula and cook for about 8-10 minutes till it becomes dense. Add some dry fruits such as raisins and muskmelon seeds. Tamarind chutney or saunth is ready, store in an airtight container in the refrigerator and use it as per required.